During a road trip from Minnesota to Yellowstone, driving west through North Central Wyoming I needed a break from driving. With nothing for a rest area as far as I could see; I left the freeway onto a dirt road to find a place to park and stretch the legs. 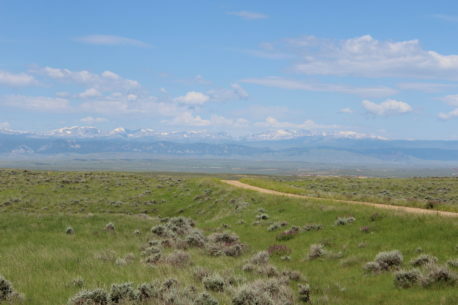 As I came over a hill, I found this breathtaking view of the Bighorn Mountains in the distance.